Q. How do I print multiple pages on one page from a pdf? My professor saved his Powerpoint presentation to a pdf format. I need to print several slides on one page. Select the pdf print icon. Click the down arrow beside "page scaling". 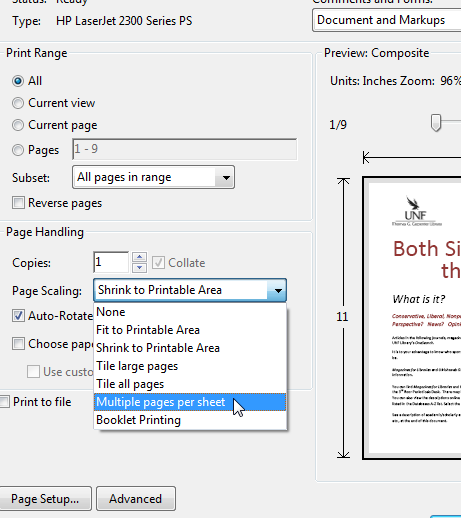 Select "multiple pages per sheet".